Summary: We are dedicated team of web developers having excellent relationships with our customers from across the globe. admin OFFICEX: the admin is the person who receive a call from a client who wants to request a taxi, he add the info like, user id, from address to address, depending on the area there will be a calculated fare...and other options, this info will be sent to a user DISPACHER. COMPANY USER: CAN MAKE A RESERVATION TO A OFFICE X ONLINE, AND CAN SEE REPORTS SO HE KNOWS HOW MUCH A DEPARTMENT HAVE SPENT IN A PRERIOD OF TIME, WITH SEVERAL FILTERS. ALSO CAN ASSIGN NEW USER SUB COMPANY, WITH THE SAME PERMISSIONS BUT WITH RESTRICTED DEPARTMENTS VIEW. 3. IN THE RESULTS HAVE AN EXTRA COLUMN WHERE IT WILL HAVE A CHECKBOX WITH "AUTORIZE" THIS WILL BE REFLECTED IN OFFICEADMIN USERS AND DESPACHERS. Need certified professionals with expertise in project management. Was great working with Dr. Pratul. He delivered the task on time and we are satisfied with the quality of his work. Hope to work with him again soon. Mr. Sharma did the wonderful job. I appreciate his dedication and way of providing online training. 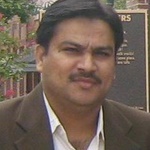 Dr. Sharma and Vedang Software are developing the website and software my business has requested. They are easy to contact and are producing the product we need. Great job, Vedang! Very happy with everything completed in stage 1. It was pleasure working with Steve...look forward to working again..
Great quality and skills...needs to work on communications and completeing work on time. Final payment, bar retention, so will give full feed back when we see all the code and release the retention. Awsome work! Worked fast and went above and beyond my expectations. Ready to hire again!